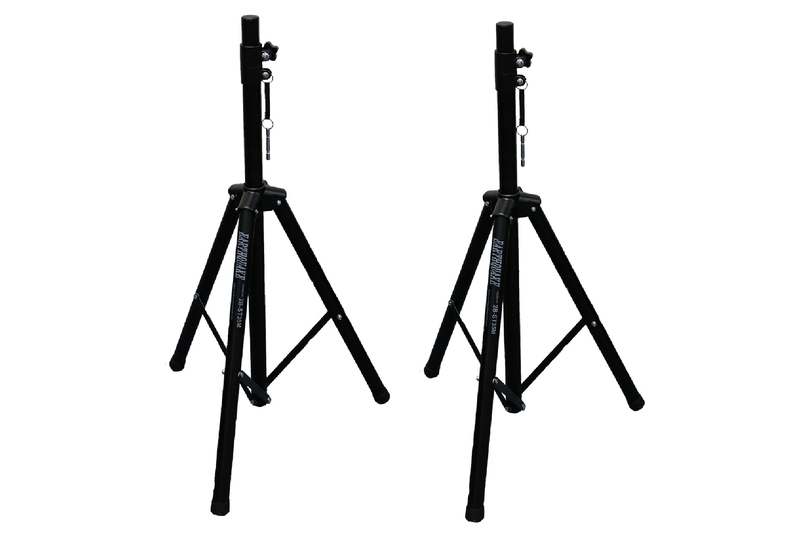 2B-ST35M is a pair of Heavy duty Pro-audio speaker stands that can adjust from 43 inches to 73 inches high. 2B-ST35M also comes in a carrying bag. 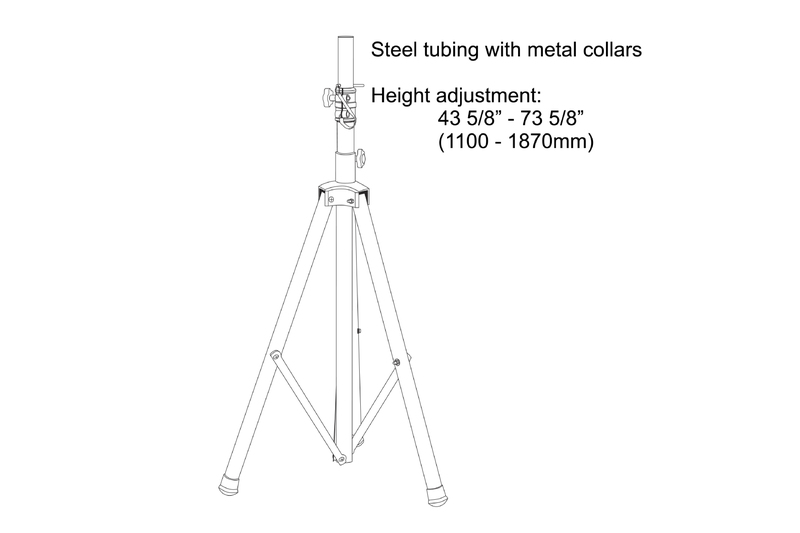 Each stand can easily supports a maximum weight of 175lbs; the high quality steel stand comes with a heavy duty molded metal housing. The user can easily tightens the stand to the proper height using the ergonomic knob, and use the provided safety pin for added security.